Dark Fantasy novels usually have some sort of non-human or supernatural being. You always hear about the phoenix, dragons, unicorns, minotaurs, griffins, incubus,etc. What about the hundreds of other mythical beings? Every culture has their own creatures with their own stories. For some reason, I love wings, especially black ones. I've heard of the tengu before I just never knew what it was. Tengu ("heavenly dog") are a type of legendary creature found in Japanese folk religion. 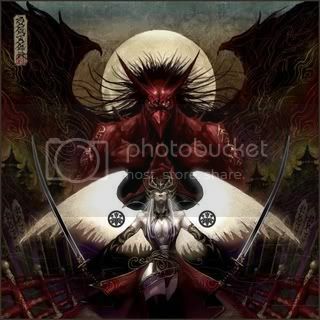 They're also considered a type of Shinto god (kami) or yōkai (supernatural beings). 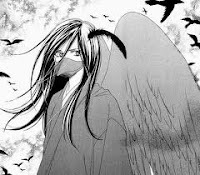 Sometimes considered the reincarnated spirit of one who was proud and arrogant in life, they have human bodies with bird’s wings and red beaks with glowing green eyes. They're skilled in martial arts. They live in trees in mountainous areas. They're mischief makers, prone to playing tricks on arrogant and vain Buddhist priests- punishing those who willfully misuse knowledge and authority to gain fame or position. In the past, they also inflicted their punishments on vain and arrogant samurai warriors. Many men try to seek out the Tengu to learn their secret martial arts, but many are driven mad by fear. 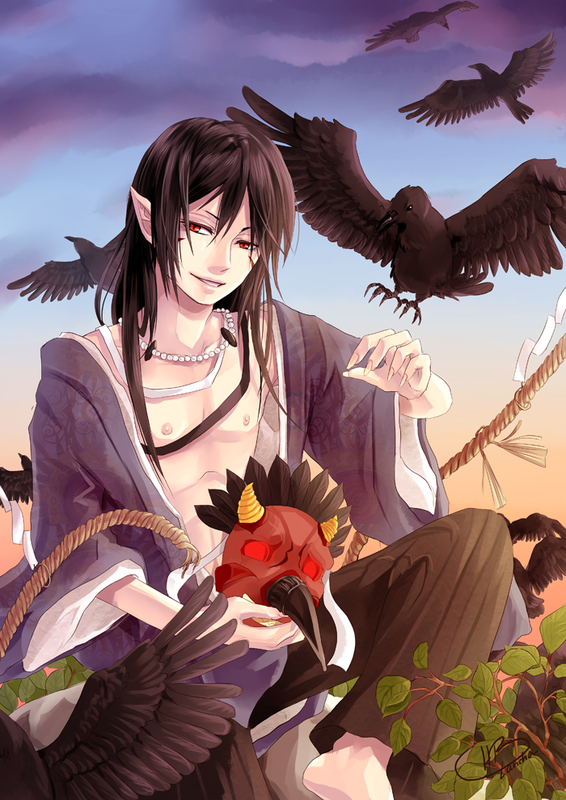 There are many tengu such as Birdman, Karasa and Konoha. The earliest were pictured with beaks, but this feature has often been humanized as an unnaturally long nose, which today is widely considered the tengu's defining characteristic in the popular imagination. We have a bird-like race in the game I play. The race is called Kestrel. Thought you might be interested in reading about them as well. Thanks for sharing. They do sound interesting. The details behind a race of beings is always facinating.